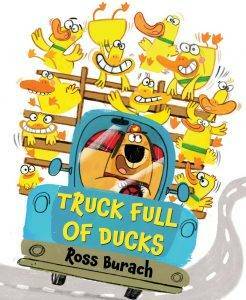 Who called for a truck full of ducks? Take a much-deserved giggle break and find out. To enter our giveaway, share one thing that quacked you up today. Submit your comment by Wednesday, March 28, and you could be our randomly selected teacher-winner. Good duck—I mean, good luck! Here are some other fun freebies that you’re sure to find just ducky. 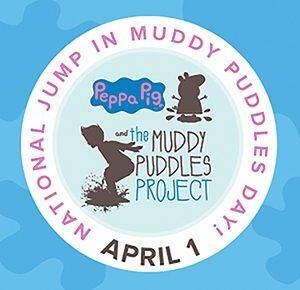 This event definitely needs to be on your calendar: April 1 is National Jump in Muddy Puddles Day. Inspired by Peppa Pig’s love for muddy puddles, the day is all about getting outdoors and celebrating spring. Plus you can hold a Welly Walk to raise funds for pediatric cancer research. Learn more at TheMailbox.com/peppapig. There’s also a chance to win Peppa Pig prizes and an Amazon gift card too. Introduce students to women who work in STEM fields with this free printable coloring book from the Department of Energy. Download or print yours here. Next week (March 19–23) is Solar Week. Visit solarweek.org to find activities to help students ages 9–14 learn about solar careers, sunspots, solar energy, and solar storms through games and lessons. Plus during Solar Week you can ask sun-related questions to solar scientists. Click here. Don’t duck out, submit a comment and you could be this week’s prize winner! PS: Our latest Learning magazine WIN contests end next week. Enter here. Seeing my granddaughter singing video for a birthday. Left it up so every time I need a laugh I can look at it again. I quacked up coming to work today and hearing on the radio about herbal pills in China made from fingernail clippings. Or maybe I was grossed out? I had to QUACK up the other day at school … as a quick reward, we swipe scented lip balms (think Chap Stick and Lipsmackers – that come in a wide variety of scents/flavors) on the backs of students hands for doing a good job …. After swiping it across the back of the student’s hand he said, “Hey, wouldn’t it be funny if you were just smearing Chap Stick on the back of our hands instead of ‘Smellies’ ?” (We call them ‘smellies’) Precious!! Today a little girl was telling a story and said “her house”. I misheard her and thought she said “whore house”. She is 8. My friend’s dog went under the deck & couldn’t figure out how to get back out from under it. All the poor dog had to do was turn around. ???? Well, I had a snow day today! When I see my dog dive-bombing into the snow, it makes me smile every time! My cat got a good medical report! My favorite giggle is watching Newfie video clips especially the one when the puppy is playing with a banana. Don’t all dogs love bananas? My seven month old granddaughter “quacked” me up today as I viewed a video of her getting super excited over the Mickey Mouse song. One thing that quacked me up today was the naughtiest little boy in my Kindergarten class came up and said, the sweetest, shyest girl in my class was “Bullying” him. Where did he get this language? He is not even a native English speaker. Watching the snow fall and thinking I have a lot to shovel if I’m going to School tomorrow! One of my kiddos left left for a bit to go to the dentist. Came back with a pink duck call around her neck. During recess she marched around the playground, quacking with a whole gaggle of ducklings following along behind. One of my students misread “honorable mention” as “horrible mention” in a coloring contest. Oops! But it turned into a teachable moment! One of my students excitedly came up to me and said, “Miss Kim, I’m going to gymnaskids (gymnastics) today!!! I always tease that there is a bear hiding in our closet and one little boy told me that the bear is only real in my heart but it is fake in real life! One of my students noticed, after 45 minutes of being with me and the other students, that one of the other students was missing (absent)! The ironic thing is that she usually sits directly across from him! Ha! When I whistled across the classroom, and a student asked me how the bird got stuck in my throat. Watching the trailer for the book quacked me up! My daughter teaches kindergarten. She absolutely is a “dog mom”. In fact, I’m not so sure she doesn’t love her dog more than her husband!!! She has some pictures of her dog in her classroom. Whenever she has to get on a student, they smile and say, “Your dog is soooo cute, I want to come home with you and snuggle him.” She has admitted that she has found herself talking dog, instead of correcting the child’s behavior – quacks me up that the students have figured her out!!! Having a student visit another classroom and telling the teacher there that her class was way too loud and his teacher (me) should “teach” her how to have a quiet classroom. She’s been a teacher for over 20 years and I’m a newby! It quacked me up when a student came back from the dentist and said he had “ceilings” (sealants) put on his teeth! I teach high needs autism preschool. We got a pair of REALLY huge red sunglasses. And when I put them on my one of my students. He pulled them down his nose slowly looked at me and winked while clicking his toung. Then put them back on and walked away like it never happened. My two-year old loves reading books and whenever he tries to say the hippopotamous or babboon it always makes me laugh….he says ba-Boo and Hip-po-pot and smiles. Love him! My kindergartners were writing lists of things they love, and one little boy had “whoopee cushions” outranking his mom! I taught my preschool class how to dance the “Irish Jig” leprechaun dance! I dressed up my preschoolers in green T shirts and little green hats and we had a parade through the Kindergarten hall. As we passed by a child, I heard him whisper to his friend, “well they Do look a little green today……”. My first graders holding their laughter in during our morning “self control” picture time. No laughing until I give the signal!! When my classroom of kindergarteners returned from gym on Friday to a ransacked room and their coats and backpacks flung on the school lawn. The leprechaun was so mischievous & the traps they made never caught him! One of my students said at the end of the day who has a father that is a police officer,” I’m telling my dad to arrest him!” in the most serious five year old face he could muster up. It was classic! I felt quacked when the school secretary had an extra substitute and send her over to me to help in the library! Super! When a Kindergarten student was showing me the toy that she got with her chicken nuggets last night. Me: Where did you get your chicken nuggets from? Student: My mom got them at “Old McDonald’s”. Me: (with a chuckle) Do you mean McDonald’s? Student: Yes, it is so complicated to say that place. I love Kindergarten! I hear something funny on a daily basis.